With roots dating back 100 years in the sign industry, Beaumont Solar is uniquely positioned as an expert solar carport developer through years of experience with billboard construction, pylons, excavation, steel and concrete. Used alone or in combination with a rooftop solar system, carports utilize existing parking areas to generate power without sacrificing other valuable areas of real estate that might later be used for some other purpose. Solar carports offer design flexibility to position and align panels for maximum energy production, while provided desired parking coverage from the elements. 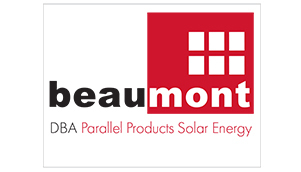 Beaumont Solar will consult with you to assess if your parking area is a prime candidate for a solar carport. We introduce you to the various carport designs we implement and the value a solar carport could bring to your property.